Canada offered Friday to take in Raif Badawi, a jailed Saudi blogger who faces flogging, listing him as a priority immigrant on humanitarian grounds so that he might rejoin his family already living here. The province of Quebec cleared the way for his coming to this country by offering Badawi a so-called immigration selection certificate. These are issued "in exceptional circumstances to foreigners in need of protection," Quebec Immigration Minister Kathleen Weil said. In this case, it opens the door for Ottawa to increase pressure on Saudi Arabia to release Badawi and allow him to join his wife Ensaf Haidar and three children in exile. The family lives in Sherbrooke, Quebec, 150 kilometers (93 miles) east of Montreal. Public Safety Minister Steven Blaney said he was hopeful the offer to help Badawi immigrate to Canada "will allow us to break the logjam and have a happy ending to this." Worldwide outrage followed a lower court's decision sentencing Badawi to 1,000 lashes and 10 years in jail for insulting Islam. 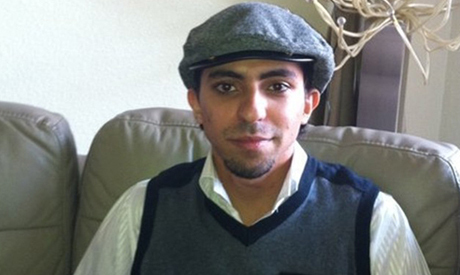 Badawi, 31, received the first 50 lashes outside a mosque in the Red Sea city of Jeddah on January 9. Subsequent rounds of punishment were postponed. On Thursday, Saudi Arabia condemned foreign criticism of the sentence that the kingdom's highest court upheld against the blogger.